Uneven skin tone can be a major cause of frustration for many of us, especially in the facial area. Even when you’ve achieved blemish free skin, uneven skin tone, uneven skin texture and redness can still result in us reaching for foundation to cover up, or feeling insecure in our skin when we’re out and about, shopping or socialising with friends. Acne scars, dark spots, bumps, lumps and hyperpigmentation are also traits of uneven skin tone that some of us may have to desire to remove. An uneven skin tone on the face can be the result of various factors. A common cause is the overproduction of melanin in the body, the pigment that works to protect your skin against damaging UV rays. 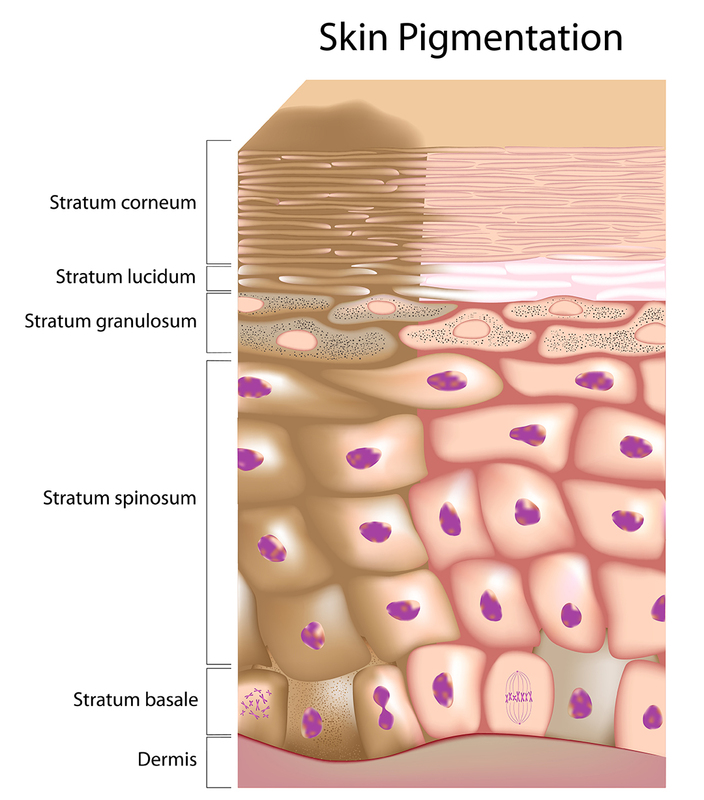 An excessive production of melanin, also known as hyperpigmentation, can result in an unflattering uneven skin tone across the body and face. Here in Australia, an extremely large percentage of the population experience some form of uneven skin tone, mostly in the form of melasma or hyperpigmentation thanks to our sunny weather. So while it’s good to know you’re not alone, it’s also allowed for science and technology to find a suitable solution to the problem that so many of us face. So what causes an uneven skin tone? The most common cause is hyperpigmentation, which is where the skin overproduces melanin (the chemical responsible for freckles and dark spots). A lot of women will also notice uneven skin tone after pregnancy or general hormonal changes, and other factors such as acne that result in scarring will have an impact on your skin tone. However, the face is not the only area effected by uneven skin tone – areas exposed to the sun often shows signs of hyperpigmentation, and this is why you may notice uneven skin tone on your arms, legs and shoulders. It’s also possible to simply be born with uneven skin tone and hyperpigmentation issues. This is a good reason why some people may experience uneven skin tone on their back, despite that area not being exposed to the sun often. Another factor can be shaving that results in ingrown hair, scars and then turning up as an uneven skin tone on your legs and bikini area. How do you correct uneven skin tone? Reducing your exposure to the sun, and ensuring you take the right precautions such as sun protection when you know you’re going to be outside can be great at helping combat further skin pigmentation. Unfortunately, this is largely ineffective at reducing the damage that has already been done. 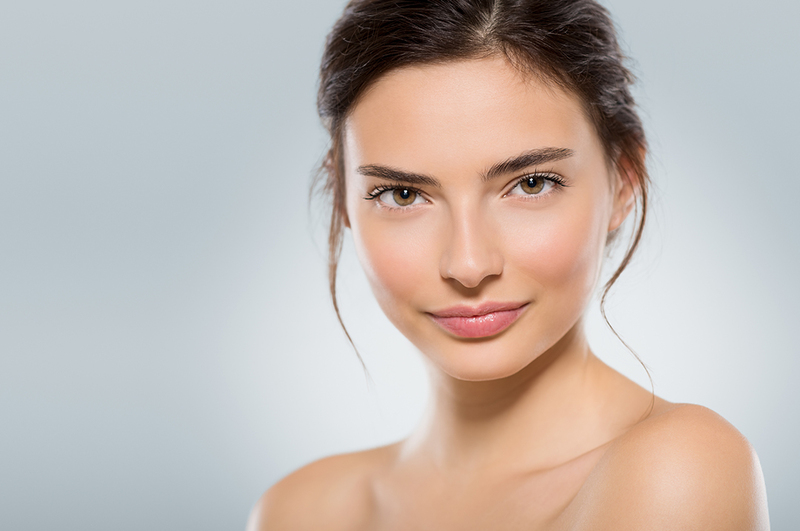 Luckily, here at Ozmedica, we’ve got a revolutionary laser technology that corrects redness, hyperpigmentation, acne scarring and other skin imperfections that come along with uneven skin tone worries. 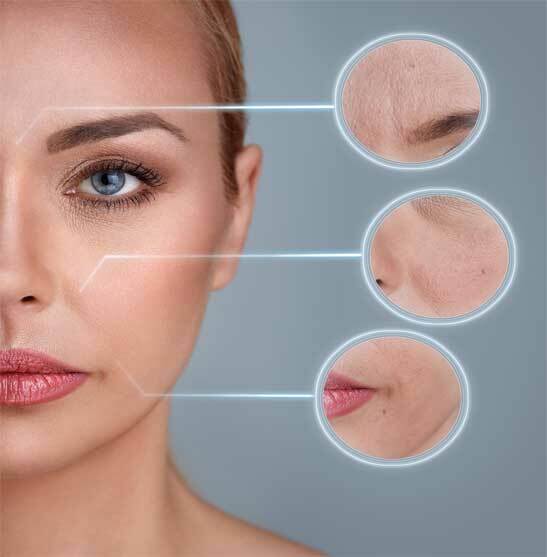 Utilising extremely short pulses of light at a safe and comfortable level, Ozmedica are able to apply the Medlite treatment to the face, arms, bikini area, back, shoulders, legs and just about anywhere else that you are experiencing uneven skin tone to effectively target the melanin and eliminate it as your next skin cycle regenerates. With no down time, Medlite is the ultimate treatment for busy people needing a skin ‘pick-me-up’ to return to their normal glow. In fact, treatments can take as little as 15 minutes, and with many patients claiming to feel no pain you could sneak a treatment in during your lunch break. Come in today for a consultation with our friendly professionals to see if Medlite could be the perfect treatment for you.